ISR – or Infant Swimming Resource is a pioneering technique that teaches children hot to survive if they accidentally find themselves alone in the water. Our mission “not one more child drowns” can provide an additional layer of protection for your family and a solution to defeating meaningless and horrible drowning accidents. ISR’s core conviction is that the child is the most important part of a drowning prevention strategy and with over 260,000 ISR graduates and 800 documented survival stories, it is significant proof that children CAN save themselves if given the opportunity to learn how to ISR Self-Rescue®. Founded in 1966 by Dr. Harvey Barnett, ISR is the global leader in survival swimming lessons for infants and young children. Highly trained instructors provide safe survival swimming lessons and to date we have delivered more than 7,750,000 ISR Self Rescue® lessons. The technique teaches a child to quickly get to the surface by rolling over to float until a rescue can be made. This simple technique can be mastered by infants, empowering even a 6-12 month old to self-rescue. 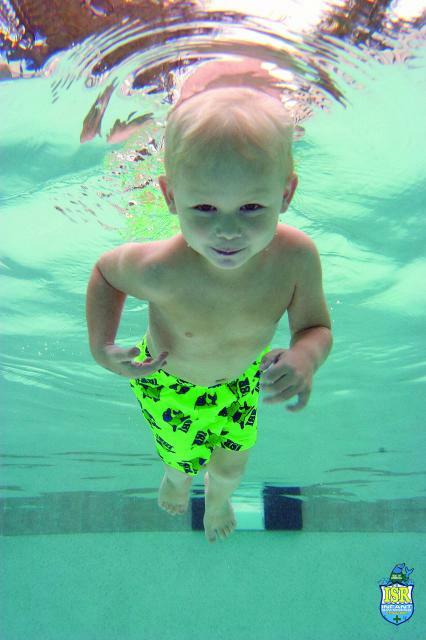 Children from 1-6 years learn self –rescue techniques in addition to the swim-float- swim method to get to safety. Undoubtedly, there are several techniques children can learn to self-rescue, and we advise all parents to research thoroughly to find the best suited solution and certified instructor for your family. ISR Self-Rescue® teaches the child to trigger their survival instinct which is something every parent should consider. Lessons are gentle and caring and children are given time to adjust being in the water with their instructor. Parent education on drowning prevention is a very important part of the program also. During the program, children learn breath control, to float, roll-over and maneuver in the water to get from a face down position into a face up position to sustain life. It is the difference between them surviving and not! Before graduating, students are tested fully clothed in summer and winter clothes to ensure that they can perform their self-rescue skills. To say that any aquatic survival program is easy for a parent to watch would not be true, it is hard to watch your child struggle, but the number of parents who lost a child to drowning or experienced their child accidentally falling into the water are just too numerous to count…A crying child is an alive child, so hang in there, the “AH HA” moment will come and everything will fall into place. At the end of the ISR Self-Rescue® Lessons, you will have a child that is SAFE, CONFIDENT and COMPETENT in the aquatic environment! Obviously, no child is ever drown-proof and adult supervision is incrediblyimportant. ISR is meant to be a supplemental skill to increase a child’s ability to be safe in the water. This entry was posted in Uncategorized on January 11, 2018 by Calgary's Child.